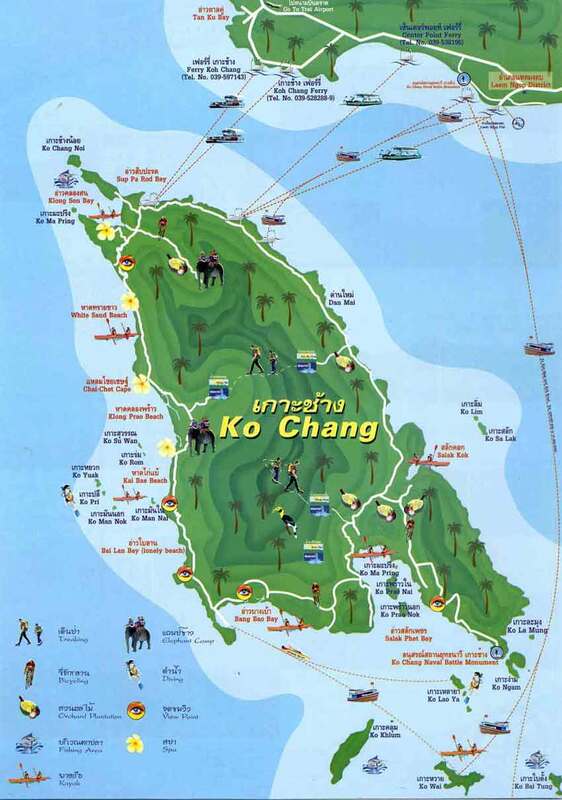 Koh Chang, which means ‘Elephant Island’ is named after it’s elephant head shape. The island is part of the protected Mu Koh Chang National Marine Park. Over 70% of the island consists of virgin rainforest, so the region is not heavily populated but tourism and development along the coastal road have increased over the last few years. Koh Chang is one of Thailand’s most beautiful islands with long, white sand beaches, waterfalls, mangroves and an interior rainforest that has been largely undisturbed due to the mountainous terrain. Koh Chang is home to a wide range of wildlife, including an amazing selection of birds, snakes, deer, and monkeys. The island offers a variety of activities and is famous for some excellent diving and snorkeling spots. 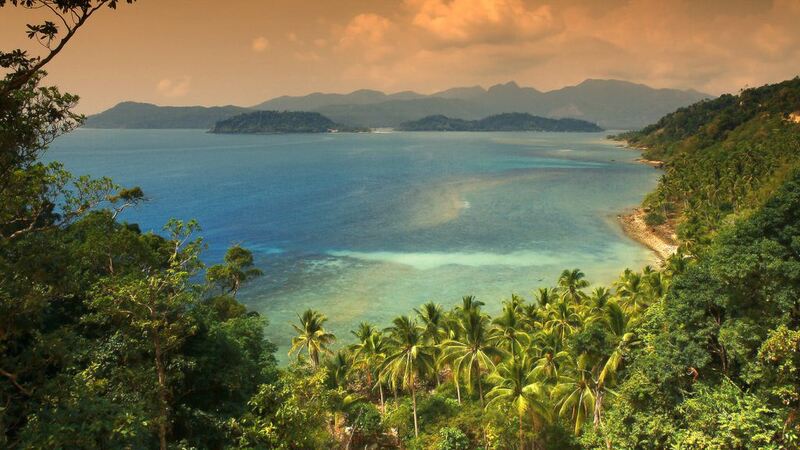 Prior to World War II, Koh Chang was sparsely populated and not many had ever heard of the island. The inhabitants, unusual for an island, were mainly farmers rather than fishermen, living on rubber-tapping and coconut harvesting. In January 1941, during the Japanese occupation, the Thai Navy fought the French in a battle in the waters to the Southeast of Koh Chang. In the mid-1970s, the island became a destination for backpackers who took to it for it’s lack of development and rustic charm. In 1982, Koh Chang, along with the surrounding area, became part of the protected Mu Koh Chang National Marine Park. As is often the case, the early travellers told everyone about ‘the hidden gem’ and in the last ten years Koh Chang has evolved into a major tourist destination, both for foreigners and local Thais. Koh Chang is the nation’s second largest island after Phuket, situated in the eastern waters of the Gulf of Thailand, 250 kilometres from Bangkok. The island covers a total area of 217 square kilometres, is 30 kilometres long and almost 14 kilometres wide. The majority of the terrain is dominated by jungle-clad mountains. It’s national marine park covers 650 square kilometres, although 70% of it is offshore. At 743 metres above sea level, Khao Salak Phet is the highest mountain on the island. Koh Chang has a tropical climate, which means warm and humid with an average daytime temperature of 31°C all year round. The island has two different seasons: a dry season and a rainy season. The dry season is the best time to visit the island; it begins in November and ends in April. Rainy season is from May until October. During this period large amounts of rain can fall, but don’t be put off by this. Most of the rain falls in the late afternoon or during the night.